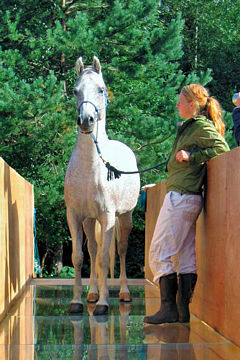 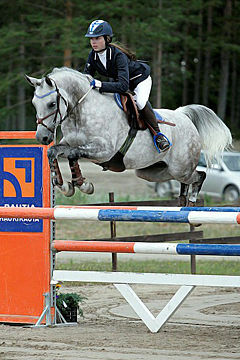 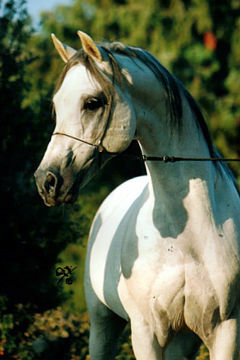 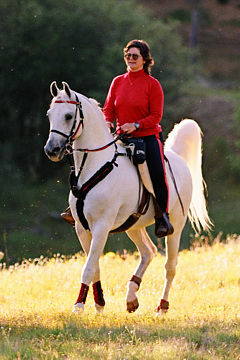 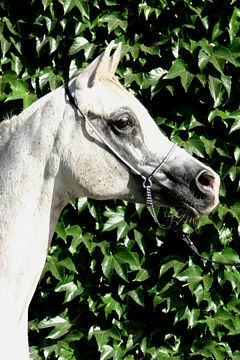 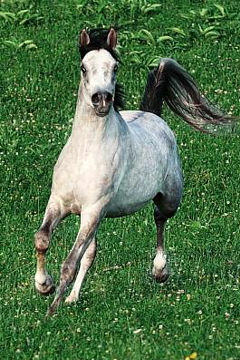 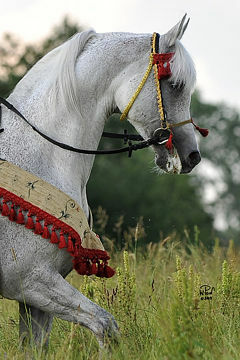 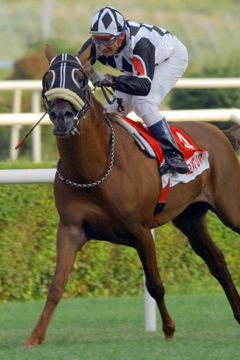 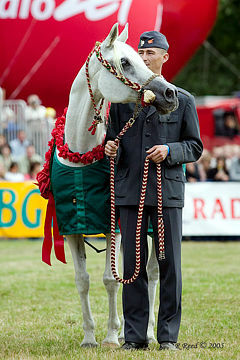 KALHARABI NADIR, Grey Gelding, *2001 (Benhan Stings Image / Danon Naadiya). 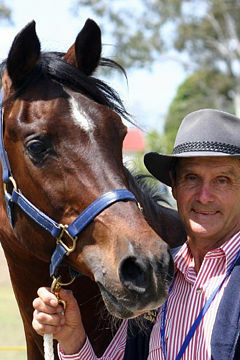 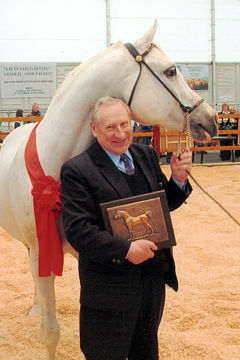 Breeder and Owner: Mr. George Wessels, Kalharabi Arabian Stud. 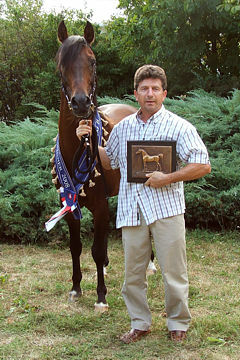 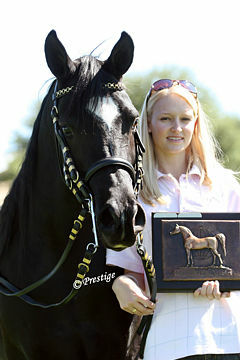 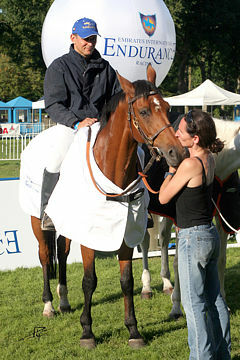 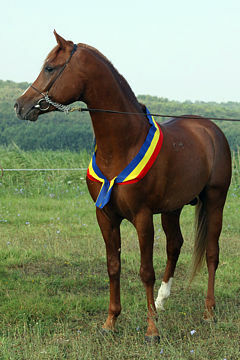 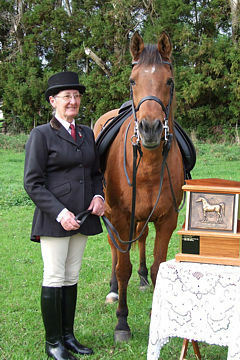 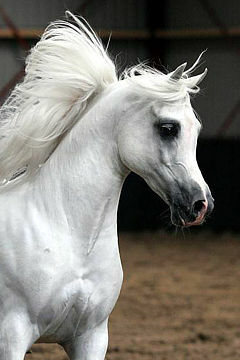 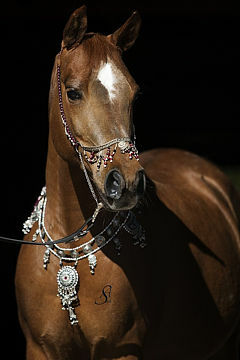 The Arab Horse Breeders Society of Namibia is pleased to announce their 2009 WAHO Trophy winner. 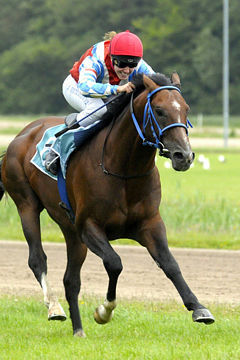 Kalharabi Nadir is an exceptional gelding and has proven his worth at endurance rides in his home country Namibia and in South Africa. 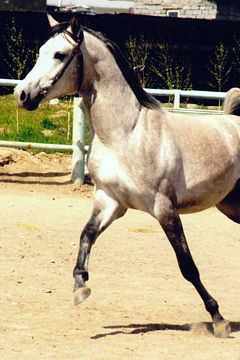 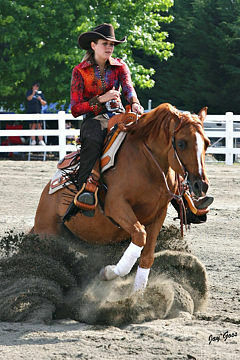 His potential as an endurance horse of exceptional quality was evident at a young age. 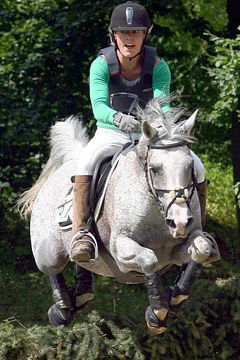 At the age of seven years he won the Child Class Africa Championship in Walvis Bay, Namibia, in 2008 and was the fastest horse in the 120 km division of this difficult desert ride. 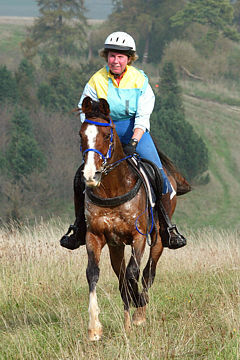 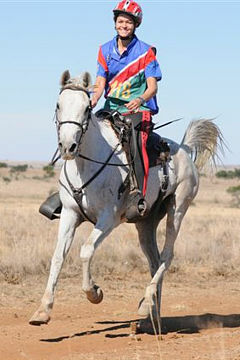 In May of 2009 Kalahari Nadir represented the Namibian Senior Team at the Tri-nations FEI Endurance Ride in Beaufort West in South Africa and achieved a 4th placing. 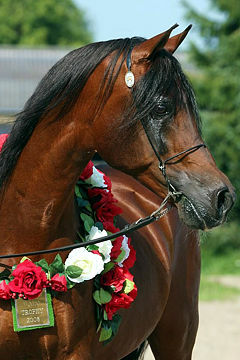 At the Walvis Bay Africa Championship of 2009 in Namibia, he proved his worth. 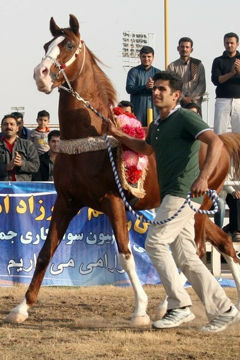 Carrying a rider of 85 kg, he was crowned the new Senior Africa Champion. 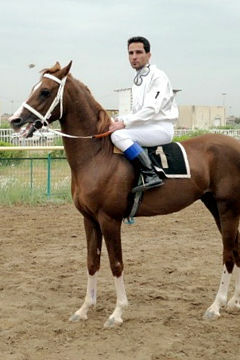 Up to the end of every gruelling endurance ride, Kalharabi Nadir has emanated the proud stance of a pure Arabian horse, tail flagging, ears pricked and striding comfortably, always prepared to add another kilometer or two. 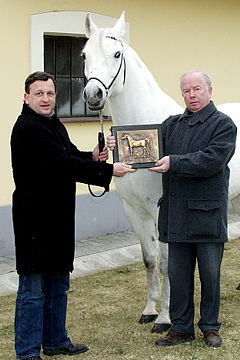 L-R: The Vice President of the Arab Horse Breeders Society, Willem Paul Michau presents the WAHO trophy to the owner of Kalharabi Nadir, George Wessels. 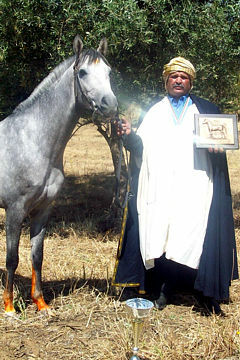 Kalharabi Nadir and rider Bredell Wessels during the Africa Champion Ride in the Namib Desert.